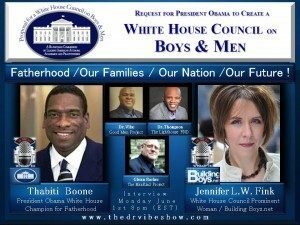 Glenn Barker, Dr. Marvin Thompson and Dr. Vibe hosted a round table discussion with BuildingBoys founder, Jennifer L.W. Fink and Thabiti Boone. If you missed Jen’s interview last week, you can listen to it here.